The number of people infected with cholera skyrocketed in the first six months of the year in the southern region, said Le Hoang San, deputy head of the Ho Chi Minh City-based Pasteur Institute. At a July 9 meeting between the Ministry of Health and southern health units on preventing epidemics, specifically cholera, Mr. San said that HCMC now has 12 infected patients. Meanwhile, the figure is 18 in the Mekong Delta province of An Giang. According to San, nine of 36 water samples taken from Ben Tre Province have tested positive for the choleric bacteria. Eight river water samples in An Giang have also presented the same tested results. The transmitting sources have been determined to be Cambodians, who came to Vietnamese border provinces for health checks and treatment and from unhygienic food and water. 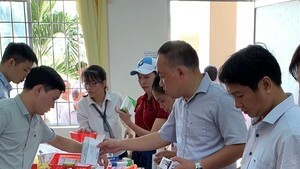 Deputy Minister of Health Trinh Quan Huan said that the extended scorching weather has made cholera harder to control. In the northern region, the choleric bacterium has been found present in fresh water sources in Bac Ninh and Hai Duong provinces and in Hanoi. Samples of raw vegetables, ice water and dog meat have also tested positive for the cholera bacteria. 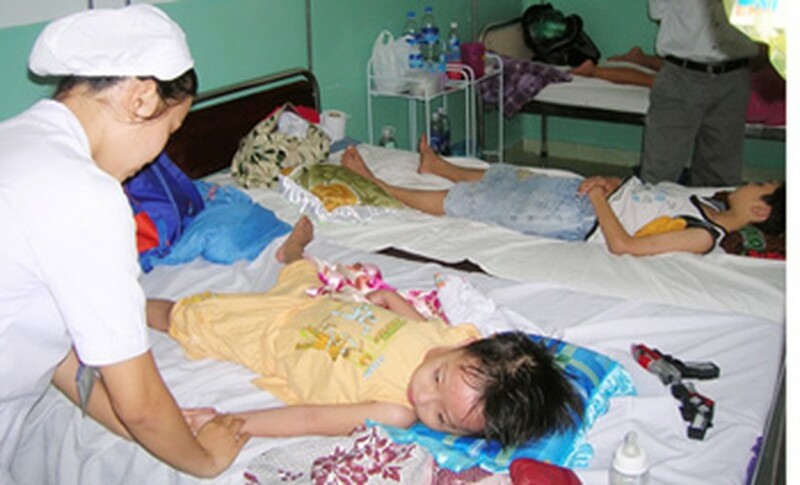 The same day, Le Bich Lien, deputy director of HCMC Children Hospital No.2, said that in the past week, the hospital has hospitalized 70-80 children each day with dengue fever, with 60 percent of the cases coming from HCMC. Since the beginning of the year, HCMC has recorded 2,000 cases of persons infected with dengue fever with one patient dying from the disease. In the central region, Binh Dinh Province’s Preventive Medicine Center reported that two children in the locality have died off dengue fever; one was an 11-year-old girl while the other was a seven-year-old boy. In the first half of the year, Binh Dinh experienced 676 cases of dengue fever, an increase of 50 percent over the same period last year.